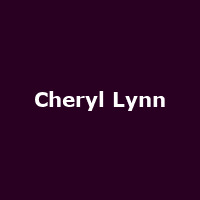 Cheryl Lynn is an American soul/ disco singer best known for her 1983 US number one single "Encore" and the 1979 disco song "Got to Be Real". She released her gold-selling debut eponymous album in 1979, with other notable albums being "Preppie", "Instant Love" and "In the Night". As a backing singer, she has worked with the likes of Luther Vandross, Richard Marx, Toto and others.